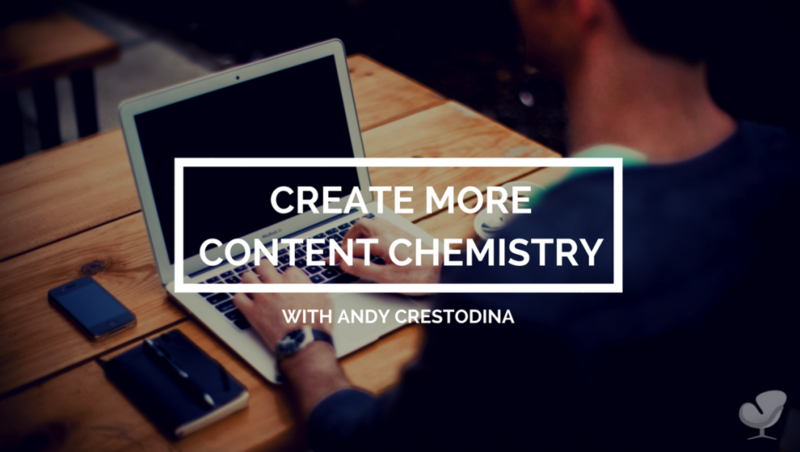 Today, Joe Sanok speaks with Andy Crestodina on creating more content chemistry. We’ve created a conference where introverts can get energized and overachieving extroverts can learn to slow down. Visit Slow Down School here for more info. 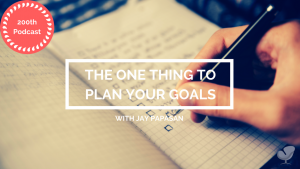 Click below to listen to the sixth podcast in this series, The One Thing To Plan Your Goals With Jay Papasan. The fear of giving away your BEST advice is null and void because if you don’t do it, someone else will. 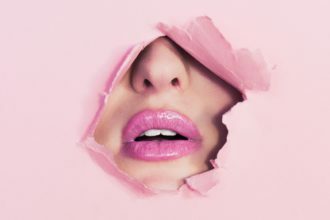 Content that will work within private practice is content that connects with people on a deep, authentic, emotional level. Make sure your headline is very specific. Repurpose old content. Use more images and formatting. Remove dates from your content. Make use of MeetEdgar to continuously recycle content. 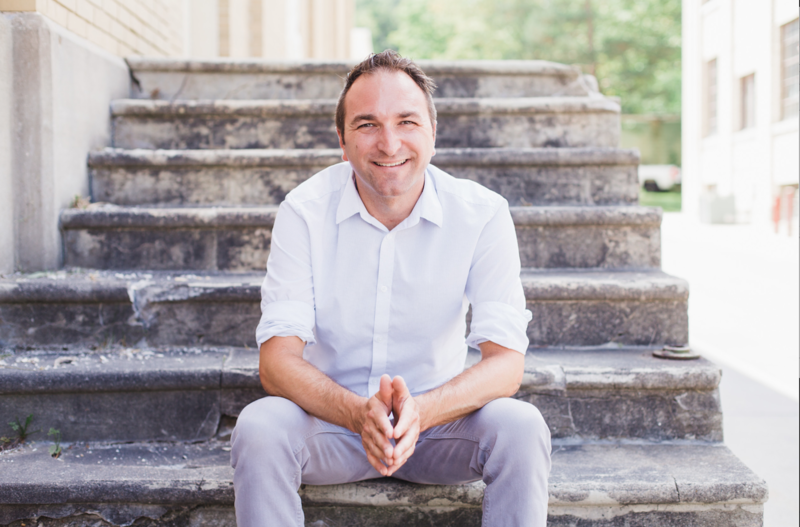 Andy has been in the web design and interactive marketing space since January of 2000. 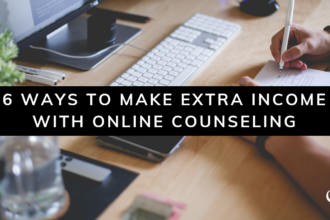 In that time, he’s helped thousands of people do a better job getting results online. 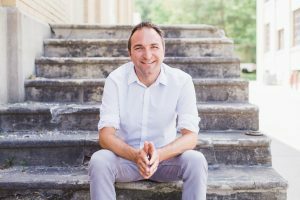 He’s a true evangelist for content marketing and ethical digital marketing. Together with the team at Orbit Media, Andy has put out some of the best digital marketing advice available in hundreds of practical articles, including posts on virtually all of the top marketing websites. Then there’s the book, Content Chemistry, which is currently in it’s third edition. Andy is also a regular speaker both locally and nationally. Not only is Andy a founder of Content Jam, Chicago’s largest content marketing conference (currently in it’s fifth year) but he’s also a regular face on the national circuit. 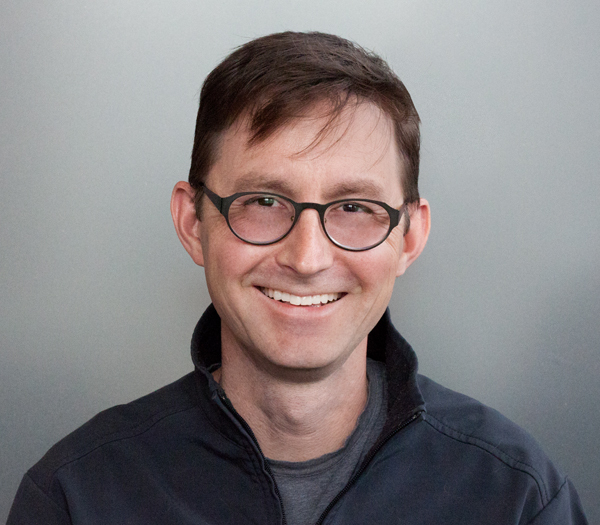 If you go to a content marketing conference, the one Chicagoan you’re mostly likely to hear is Andy Crestodina. [0:25] In the practice of the package podcast in joe and can i have else kitchen with me how you doing else and. I’m good how are you joe i’m doing awesome too it’s so nice to have you co hosting this series today we’re gonna be diving into. like he will not go all else and you are new column that you’ve been writing talk little bit about how you got there and creating content for that. [1:22] So i’m really excited i have a colon out every month and the local lifestyle magazine and i write about different topics related to mental health and funny enough this is just another example of i asked and. it’s really great because i feel like. call me at me out for a general lifestyle magazine about mental health and yeah hopefully people are reading it and thinking about it. Yeah yeah i love that it has come back impact on the world side but it’s also going to help your bottom line with your income and your practice. [2:22] Rate me that and other ways you can gone after free marketing like that. [2:28] With a free blogging you know i’ve had good success with blocking and then running ans for those plugs on facebook oh okay. such a game changer for my career to really get into people’s years and brains to build that trust and to help them can know who i am. anyone wanna start with the importance of content creation for a business come in today’s business environment. Sure well there’s two huge reasons to do to publisher best advice one of those is if you think about why people visit websites and why you visit websites and how the unit really works people old. [4:40] Open the browser and hit something in search and then click because they need information and if the companies that give away the there their. 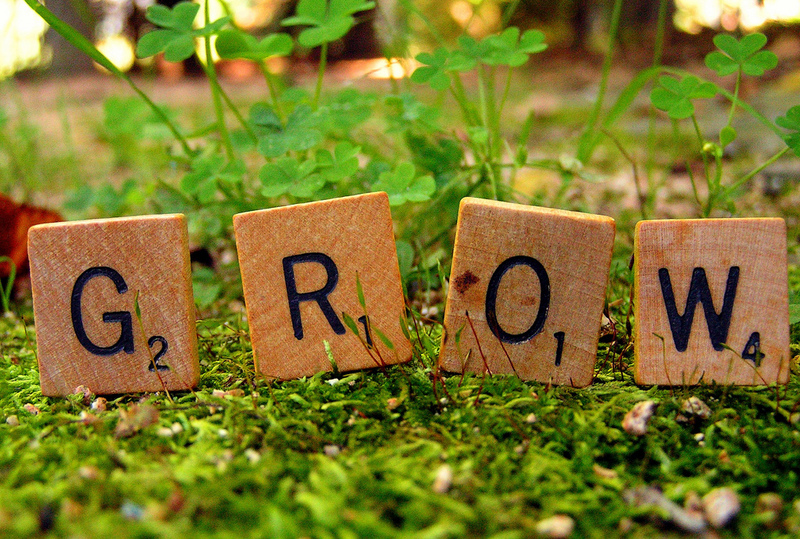 Best advice that attractive visitor and grow the brand become you know about. don’t have is much power to build credibility of build trust and goodwill to get people to keep coming back to get people to subscribe to newsletter to get people to become a lead for your practice. i’m giving information away for free to any clients or any could still my best my best advice while you and i are both skittish lee avoiding publishing helpful stuff. [6:14] Somebody else is doing anyway somebody else is already giving away her best advice and getting that visitor and it’s not me and it’s not you because we were afraid publish. it friendly whoever gives away the most helpful useful advice wins the biggest are the audience at pipeline of leads. you gonna go away because it think about it let’s say you right on your website everything that i need to know to do everything that you do as well as you do it. It doesn’t mean that go to take the action right. If i took for years at a piano lessons i was fully aware that the reason for taking us less than i could’ve learned everything myself just on you tube. or a lot of cases diy options is painful or difficult are uncertain with high risk or huge annoyance. So we still need the help of others service provider won’t lose their audience by giving away this by someone is already giving it away anyway. You’re not gonna keep the bad negative people that diy how to cut off the internet but not publishing yourself all you doing is giving other people that visitor that chance to convert the president will even. [7:46] No i think are right on with that so what are some of the best practices around content creation so therapists consultants coaches. And what are the source of things that they should be asking themselves as they create content. Well here audience in these categories that were talking to hear ar areas where empathy is especially important this is and how to make widgets are how to bake bread this is stuff where there is. A big intangible difficult thing and emotional process is kind of a psychological barrier in certain cases you know that in the reason why your listeners here practice of the practice is a relevant is because you know this is a service industry of. Super high touch professionals right. [8:31] It’s there’s a lot of inter personal relationships involved here and in a lot of emotion at the required therefore. The best counter detail work yours content that really does connect on a level that goes beyond the mechanical at in advice i read and shared a fantastic article and a coach and coaches website. Where she explained are you your own worst enemy these are these are tips for getting out of your own way and breaking the cycles of negative thought and it was just. and i shared with the world and told everyone in my family to read it because it’s like it was so good so you gotta keep it real you got a sort of. yeah cut the fluff get rid of those qualifying words be more direct use reviews actual story specific examples now having said that this article i think that i sure today actually could have been more effective had been. Crafted instead of away if the headlines said are you your own worst enemy question mark. That didn’t actually give me the very specific benefit of reading the article reebok read the article i thought was that i thought would be the headline should be very specific in the. [10:07] Been telling people in it for them the post i’m referring to actually like seven tips but did not the number of the headliner probably would get more traffic at a higher security to put the number the headline. [10:18] So what would you have renamed that article is seven ways. Change your attitude and be more productive today than in that example i’m giving me see i’m getting specificity. I’m telling people what they but the specific action would be and how long it we know how to do it right now. The question is you your own worst enemy is very general very vague and it does and the person could read it and simply. In their own mental by like answer with one word yes or no and move i know i’m not i’m awesome right of okay good your you know it wasn’t like it if i said seven things that you can do to change your attitude and be more productive. What’s the benefit be more productive how with the specific things seven of them will even if i’ve ever cracked a rib to that i love so there are there’s a whole science around the psychology of headlight offering that leads to. Next click through rates and sharing. How so we’re thinking three like your own articles one thing i really appreciate about what you guys do or be is the content you share mfcc on twitter cuz that’s right think i follow you the most. Like i can help a clicker because it’s always so good like and i’m just like what is in this process for creating this content making it look beautiful and making it so relevant cuz. I think for some people it comes really natural and others it doesn’t but i guess this part also look at you form some habits and you can. [11:48] Doing it for a while they also he’s not like you just woke up one day and you’re awesome at that you piper a lot of hard work into it also. New talk to your process of creating content and. what are the things that i’ve been doing lately and that’s a great tactic and might work really well for us to do this awhile he’s going back not getting old content. When i do that i look and i see how i used to publish and i’ve seen some the differences. Today i am writing things that are longer more detailed thorough and cover the topic from every angle. Today everything that include more images than before today many things include more format and the little bullet listen building and if so batters. [12:34] These are these are things that are more assemble them written there are lots and lots of of just. No fluff but lots of short paragraphs. there are six other things to do around that probably gives you that impression because one thing is i took all the dates off my blog and. So now you can’t tell how old it is and really this stuff is not going out of style anyway i’m writing it was the evergreen content. If it does relate to update the date appears and the headliner the body the next thing is i load these things into a tool that keeps scheduling them and keep sharing them repeatedly over time that i have me and your. Yeah i’m using the doctor i use between is mediocre. get a shirt or not and then you see another one and another one even though i’m only writing once every two weeks. [13:46] I’m keeping a lifetime body of work in heavy rose social rotation using tools that makes me look like i’m much more active baby that i really am. I know it is there a point when you can’t over do that with and your. Or is it like an twitter for example like i’ve heard the half life of tweet is like twenty two minutes so theoretically every eleven minutes or so you could be doing other tweet that they where is the break point for. 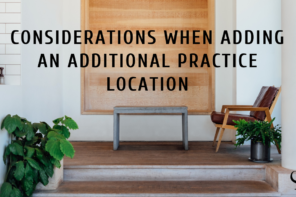 In us we see that you’re doing this rotation thing or is it like you and how awesome you three or how often you schedule it out. social media is a dumping ground for links i actually do we use it very actively to do not working and researching and conversation but for those treats those promotional traffic driving tweets where you are sharing your articles all the new. They’re probably isn’t an upper limit when you keep in mind the fact the fact that organic social reach is like one percent so it i share four times a day. On twitter with with articles like we mentioned but there eat each of those four times a day it’s pulling from a bucket of like. [15:18] Eighty different articles i’ve written over the last ten years all of my best stuff i’m sharing only my best well the things i know that i’ve gotten traction its a highly optimized it’s not just. Throwing stuff in there like spaghetti against the wall it is it is the things that i have written off and re written improved integrated that it is having usefulness they got comments i answer questions i’ve polish that many times. But that frequency what’s too much i don’t know jeff billy’s post every fifteen minutes on all of the channel day and night and has huge results again people who test that. ten percent to seven percent dollar five dollar three and is now probably around one percent. In other words if you share something on facebook maybe one percent of your fans will see it that’s the organic reach. [16:47] People i talk to is less data for people i talk to with it is similar for other social networks such as twitter. Set it’s assembled save got a thousand followers because you’ve been very active in your excellent internet service and being very helpful in india organic reach is. One percent that means maybe ten people are seeing anything that you post. [17:09] Yeah so is that true and even the facebook with your personal profile to that it’s only about one percent were just business pages. haha that’s awesome question well. You hear some clothes that a topic is worth revisiting people ask you about a lot. that’s a major clue and you should go back and keep re writing a proving anything that’s on top of that. You know it’s article where you should be sending the link to people who asked the question other clues a got a lot of shares and got a lot of comments i got a lot of likes but my favorite way to decide what to go back and work on is. There’s a report due analytics that shows you how high your ranking for which phrases and. Maybe i can share a link that shows you step by step instructions for this but you have to be awesome. Cuz it’s kind of a detailed analytics think but long story short if you are ready if you’re almost ranking high let’s see rate me to top page to about a page one for a phrase if you will go back improve that page. [18:52] Especially for folks on the key word that you’re almost ranking high for you are very likely to move your rank up for that phrase. you gonna get traffic everyday that thing it’s probably higher value the poster about this will share this call place the traffic at half the time. by adding detail adding images and quotes having statistics had it you know the big get longer and better piece of counter top like that is one of the. Greatest ways to get more traffic with pretty direct diffuse calories so i am sure article goes more in-depth open the link to that in the show notes but. like what should i do one or two more a month versus go back and optimize old post and take the dates office where would you say it’s better to use my time. baseline of your foundational content that should be published first before you go to very much else. If you put you’re the things you believe in most strongly the questions people ask you must off and. The stories that would you tell them people are. Find the most interesting just whatever you do just go make all of those things first maybe there’s five or ten of them. Now when you go publish anything else you gonna be linking back to those and referring to those all the time. [20:44] It’s set to go about your marketing and you know you’re gonna have to do it finally write that piece that everyone has been asking for the whole time that you would have liked you for ten other articles. So i think that there is a cornerstone thing where you make that baseline first after that’s published now you can begin to optimize. [21:04] They can build a whole brother content now you can see which of those. Eight things that published that are the most important in your beliefs your practice for the how to things that you that people want the most and see which of those got traction. If something did well then you should immediately consider but will i have a friend causes talkies and unicorns of the things you made the gonna fight a couple of hopefully as a couple of unicorns are there. The rest might be dr this kind of something about if you if you find that you have a unicorn gonna get better results faster by making baby unicorns. [21:39] Take that high value piece you made that explains that is super valuable tip and. Make it into another format turn into a video turn into a diagram turn into a good info graphic write a guest post on the top and give it to someone else. Put that would have a social rotation interviews expert and ask them for their insights into that same topic. 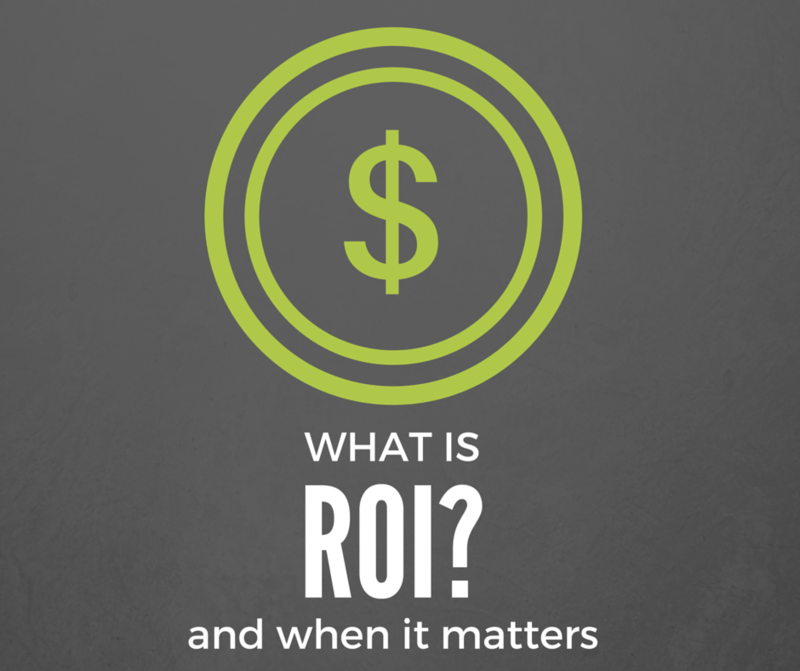 So build up your hub of content around that one thing that you know that getting traction. Because it’s digital you have analytics you have feedback you have the social clues that this is something good so. I think that that’s kind of where i would probably start yet and so with those baby unicorns be separate blog post would you be building up the original unicorn. They would be separate blog posts separate formats on separate websites often and pay for the rent for their websites. Would you but the cornerstone piece that center piece the how to x why z that’s an article that you will never change the url of. Always the that is in your office is in a co thing don’t ever change the way you write the. You know how to enter your business coaching you teach people how to do an exit interview in a website dot com slash how to do an exit interview. [22:53] You are i’ll should never change if you go re write that article and make it better leave it at the same url it will preserve some of the authority to get from links which is a lot to do with how google works. 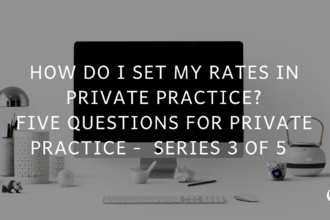 [23:05] Yes one example i can think of was play year to end the practice of the practice of looking my google analytics and realize that below my home page this random article i had written about how to name private practice was the second. i didn’t know device you just gave at the time but i love that idea of what’s working like expand on a and broken content around. Tell them that the baby unicorn thing is larry cam from word stream because of that. Stock is in your court if you find equipment be adequate but you just didn’t do that was exactly that’s the text exactly the way to go beyond what most people do that you publish other formats. 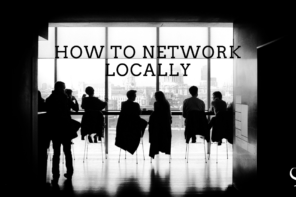 i don’t well in the way to do that is called influencer marketing which is another great topic use social media to find and gradually schmooze with people who can connect with a bigger audience if you just search twitter for entrepreneur. that’s great so when we think about contact me what are some things that you see that. Maybe a couple years ago people i thought was best practice but now it’s like no like any of your fourth edition that just came outta compton chemistry. What are the things they use to work and maybe people still think are working but really like the shouldn’t be doing. Well there is a tactic that’s probably still working but is i think starting to max out it’s the may go round up so. expert at something as small three questions and copied and pasted their answers that article you get a perspectives on three questions and people would really enjoy reading that. But i seen blood post now where people get a hundred different people to answer one question and you end up with. Do i pay you to post when live here it is and i’m like wow this is like you take me. Two hours to go through all this and it’s not organized and it’s not there is a common thread through except the question and i got the mega roundup is hitting a tipping point where. [26:08] Do you know that in. yeah announces exactly right okay what else is working now or what else is not working now that may be a couple years ago people weren’t doing there should’ve been doing. it takes a little bit of your brake and addition and just be willing to turn on the camera and talk about whatever you need to where you are so. pretty is stuff in super fast and easy way that has a bit more than immediate kinda pulse than cut and used to have. [27:10] What i recommended and that is it a during incredible format for content that is not ever going to the client to my knowledge is alive and open house. Yo get back to the bar if do something where you get people off-line in increasingly saturated digital environment. The thirst for in person authentic experience is higher than ever. a good social media marketer digital marketer move things off-line get people together in person makes a dialogue live experience. That’s all too rare and super effective. I ate a poorly agree with you i know since we started the most awesome conference like that his really just. 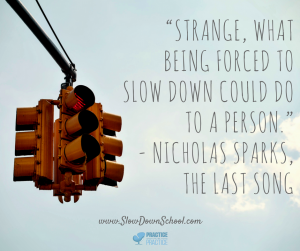 People connecting level up and then in the summer of two thousand seventeen i’m hosting the slow down school. Where is gonna bunch of people have slowing down the spark innovation and. I totally agree that when you bring people together in person on that may be of known each other loosely on-line like something really amazing happens in their careers but even in their relationships that makes it all feel more vibrant. it’s something that will always be you can’t upgrade pass that format the weakest format is taxed the next the next best some kind of visual followed by audio followed by video followed by live. The most upgraded the ultimate format for content interaction is a human real time in person experience. i received the it’s not a hundred percent scale of all but what are some quick tips around kind of the events i know we’ve only got a couple of minutes left here but any quick tips around can hosting those someone’s interested in doing that. And promoted to my at the local members of my newsletter list and said it with the wind in web i’m teaching web marketing or hopefully have something to use for the share and invite people in and it took. now i have got speakers that the key there is to make it. Is your people to take the action recognize people who keep coming back build up like a little community. anything that he wants to promote it’s there that to the way. [30:19] But it doesn’t feel that well because my office is unit conference service only hold so many people but over time. One of the greatest benefits of it is that will push you to. Sharpen your content get better at discussing that thing is all kinds of friendship and networking and sales benefits. Also there is nothing that will motivate you as a content creator like fear of public failure right we’re getting over that fear from looking at and. hosting an event at your office i think could really be applicable concepts in private practice me anything about like an hr directors and. and even just yesterday i tried a self defense class for the first time i’ve never done martial arts and have you ever thought this would be interesting to try. use whatever your hat is and business to promote i keep coming back so that you can learn the skills of you get attacked you know what to do. And how is it like the whole like i never thought of martial arts studios as having like a counseling or psychological element to it but they don’t really do. So you live events because i think that the application could go well beyond just your clients. Increase see you have your fourth edition of content chemistry that’s just coming out now it every counselor in the world were listening right now what would you want to now. And the digital space and then live events in those cases the. The counselor who gives away the most of their most practical advice is the one who will grow the biggest audience and secure their future by growing very durable advantage of having a loyal grateful audience. [32:27] So the game started a long time ago it’s had it’s not at all too late to start playing hard. Give away all of your best price on the internet through. The three teaching to riding through speaking do whatever you can to help as many people as you can extending your mission from be on yours your specific service is all the way out of the content helping a much broader audience. And see what happens when you think you so much for being on the practice of the practice podcast. My pleasure joe anytime is great yeah i agree taxes in. it’s a really attract your ideal client and also what thoughts you have from the interview. i think that’s an important mindset shift for us as business owners to learn. insurance they tons of these ideas that people have how they could improve their outcomes. [34:15] Yeah definitely if so you interviewed somebody another one of my consulting clients who did you go with. interview and how awful it was to learn the technical aspects of blogging and how that’s been helping him in your business awesome lets listen to this interview with a paying. Hi everyone so today i am talking to a the pain she is from seattle washington cheese and l m f t hyena. Hey alison how’s it going i’m well thank you so tell me about your practice. when’s my practice is in like a suburb of seattle it’s in bed and it’s technically just microsoft country. Mace for your daughter in solo practice at this point. Yes just me okay and so you’ve been doing some consulting with joe when and tell me about how did you. Decide to sort of take the plunge and invest in the time and the money in to doing the consulting. [35:51] Yeah so there’s something about like being on a practice of the practice website and. it was a conference where he was sponsoring and then he came out and then there was a. At a party that he threw at the hotel he was staying and as i got to meet him in person which made that connection even more personable. And then again just following a lot of his podcasts and then being like. You know what i think i can really make a trip out of this it should talk about like what actually consulting it with them. I want to be no practice in august this year so that was in traverse city. i was before a before. [37:13] And god and then i just started blocking the whole different way so yeah there’s definitely been a lot of games. They are just i think having that i am kinda getting to know him hearing his story about his family and his practice just really made me feel that connection with him. And yeah so before you started doing the consulting how are you feeling about your business. and so it still feels like an. Like i don’t really know what i’m doing or am i really doing the right thing so just like a lot of uncertainty an allotted doubting and questioning. So i’m having a lot of people feel that way for sure especially when your trying to fill it alone and now. Do you feel different me since you participated in consulting as far as how you’re feeling with your business. to branch out even though i might be uncomfortable but i really don’t have anything to lose what i do have to was just staying stock. Yeah that’s what do you feel like on a daily basis you doing something different we now as opposed to before. [39:17] You got some help from joe yeah i’m in the. I feel like it’s like little nuggets i get here and there and i’m like okay i can make this little change on my website and i’m gonna do that right now or. I probably can do more keyword search before i title my blocks my blog post so the little things like that that before i would never think about doing. And the four blocks when i was writing like one or two paragraph blogs and. hello yeah and now i write you know blinds at least five hundred words and i am cognizant of the titles and subtitles that i use and. I feel like the quality of my glands are really improved and i feel like i have so much to write about i just don’t have all the time to do it my. [40:16] So yeah definitely the little things as well as i would say even bigger things. [40:22] Yes so because you learn all the technical aspects we need to the blog sprint course do you feel have you notice it’s me the difference with your as ceo or your website be more visible to people. Yeah it is to slowly climbing up it still at the polyester more than i could do but i am in pretty saturated market in seattle. I see i know that i have been able to walk confidently points my clients to my blog post or just to host. And with my professional group and and other people finding value what i have to right so that’s made a huge difference whether was actually one more thing there was. [41:11] There was a talk that’s joe listen in on and then mentioned briefly about to inbox parents. And i went looked it up and be like wow this is this is wonderful i could totally blog about this and so i wrote. And what about it and posted it on then i set which is. [41:33] Emotionally focused therapy professional all the surf and sue johnson the founder of eft she noticed it. And she’s like why don’t you buy for the newsletter and so i got in touch with the newsletter committee and some back and forth editing and now will. yeah that’s a good point because you know something as simple as like okay administer plugging more. You know has turned into now you get to contribute to a professional publication and that’s really exciting. Yeah yeah i actually do love to write and i do have a lot of ideas and so i feel like this is just an extension of what i’ve always been interested in doing yeah. Oh so do you feel like as a result of consulting you. Are looking at your business in a different way or what are some maybe like nuts and bolts things that you learn that you feel like could be viable to someone else. [42:54] Where in the nats my practice is first of all of business in. [43:01] And and the practice of doing housing is i wouldn’t eight secondary but it ought to be like just as important. and so to speak to. The people that would most benefit from my service and i feel so alive and helping them i feel like that’s just kind of. [44:01] Joe has spoken to that over and over again and and that has really become a part of how i write what i write and being confident as i go to not working is the answer. two questions and how they applied your website but then it. Reverberated through like everything you do like even raining thought posts are going to networking events and how on my kind of describing myself to other people so that they understand who might need populations are. You took that message in a few kind of generalized reading is really smart what a. And that’s the thing there’s a lot of generalization that you can make tool kind of just the nuggets of little things here and there that you get from joe and. [45:12] There’s just so much that could be done on and when to moment basis to further our practices and sometimes you can be exhausting but. Yeah there’s just there’s just so much more that we could do any given moment yeah yeah i think it’s. To have some only go to help us can we through like what’s worth focusing on what’s not. I need an i think it’s also how to build a community like as a result of blocks from which were little find is that we have this community of people that we continue to go back to. [45:50] And also can practice has helped us ever so community for us to yeah for sure yeah something i really. [45:59] Continue to stay in touch and help each other right yeah well thank you so much either for talking with me today and i really that. [46:10] Absolutely thanks alison for calling thanks okay take care. this just event we’re at in seattle at got men’s summit and she brought me like all these little lake treats for my family and i’d never met her and. She’s just after giving wonderful person and like she writes thank you cards like i thinking about you cars and i was inspired by this blog cards like she’s just the three person. Yeah i love how by blocking and she got the attention of sue johnson is now like i mean when the founders of eft like how sweet is that. I know it’s amazing i feel like you never know what’s gonna happen when you put a blog post about the world. dr julie hanks she does all sorts of things with like no cnn and the wall street journal in real simple these like huge organizations but it just started with. She’s replying to you help a reporter out and unit one thing led to another and you just never know how close you are to. You’ll be in the next person that gets to be on tv or have seizures and bless yeah yeah that’s awesome. Well thanks so much for doing the interview alison and if you guys want to get the three part video series excuse me municipal water. [47:44] Yeah i’m not gonna let that out. thanks for letting alison in two years into your brain will talk to you soon. you should find one and head on over to slow down school that come to find out what were doing this summer at the conference see you soon.